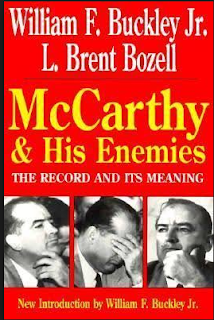 During his day, McCarthy was often attacked for demagoguing the issue of Communist infiltration of the State Department. These detractors often claimed that the State Department already had this issue well under control by the time McCarthy got involved. 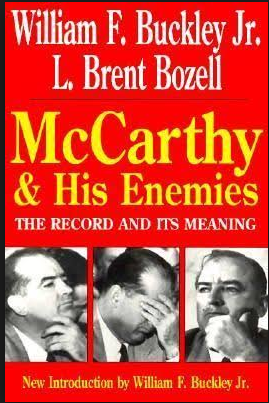 Conrad E . Snow , chairman of the state department s loyalty-security board , accused Senator McCarthy ( RAVisj tonight of trying to -smear the department by resorting to rumor , invention , half truths or no truths at all . archive.org -- Full text of "State Department employee loyalty investigation : hearings before a subcommittee of the Committee on Foreign Relations, United States Senate, Eighty-first Congress, second session pursuant to S. Res. 231, a resolution to investigate whether there are employees in the State Department disloyal to the United States. 1950"
Any subpena or demand or request for information, reports, or files of the nature described, received from sources other than those persons in the executive branch of the Government who are entitled thereto by reason of their official duties, shall be respectfully declined, on the basis of this directive, and the subpena or demand or other request shall be referred to the Office of the President for such response as the President may determine to be in the public interest in the particular case. There shall be no relaxation of the provisions of this directive except with my express authority. Archive.org -- Full text of "FOIA: Alleged Communists in State Dept-EBF-240"
TO* SECRETARY OP STATE, GEORGE C. MARSHAII. After the heating has been completed the loyalty board in each department can recommend the retention or the dismissal of an employee. But the matter does not rest there. The employee may appeal the findings of the loyalty board to the head of the department, who can either approve or disapprove the board's recommendations. If the head of the department orders the dismissal of the employee, he has still another avenue of appeal: namely, to the Loyalty Review Board within the Civil Service Commission. This Board is composed of outstanding citizens of the United States. These citizens have no ax to grind. They will not be concerned with personalities. Their judgment will be as detached as is humanly possible. 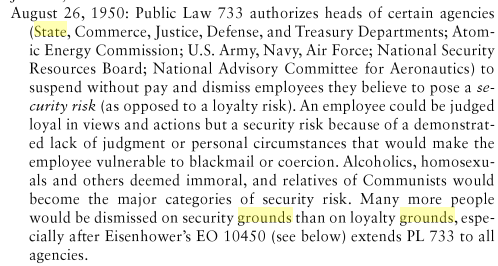 While some security risks may not be loyalty risks, all loyalty risks are security risks. This means that persons reviewed under loyalty provisions should have been reviewed under the stricter provision of the McCarren Ryder. In June 1947, a Senate Appropriations subcommittee addressed a secret memorandum to Marshall, calling to his attention a condition that developed and still flourishes in the State Department under the administration of Dean Acheson. It is evident that there is a deliberate, calculated program being carried out not only to protect communist personnel in high places but to reduce security and intelligence protection to a nullity. On file in the department is a copy of a preliminary report of the FBI on Soviet espionage activities in the United States which involves a large number of State Department employees, some in high official positions. In the next installment of this series, it will be demonstrated that this lack of action by the State Department cannot be explained by a dearth of Communist agents at this agency.